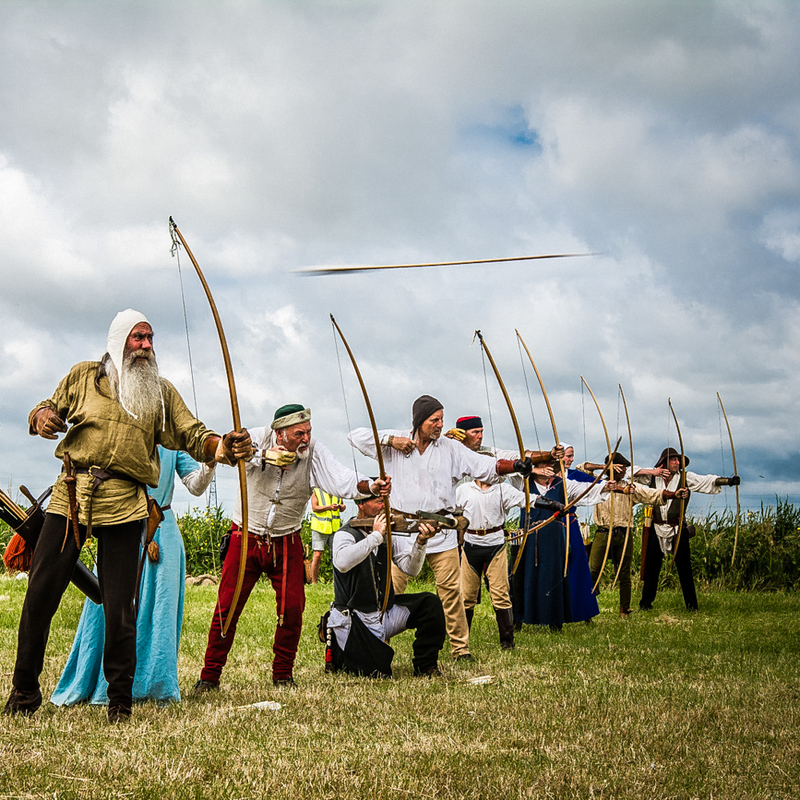 We can provide a display of the formidable English longbow versus its more powerful, but slower opponent, the crossbow. 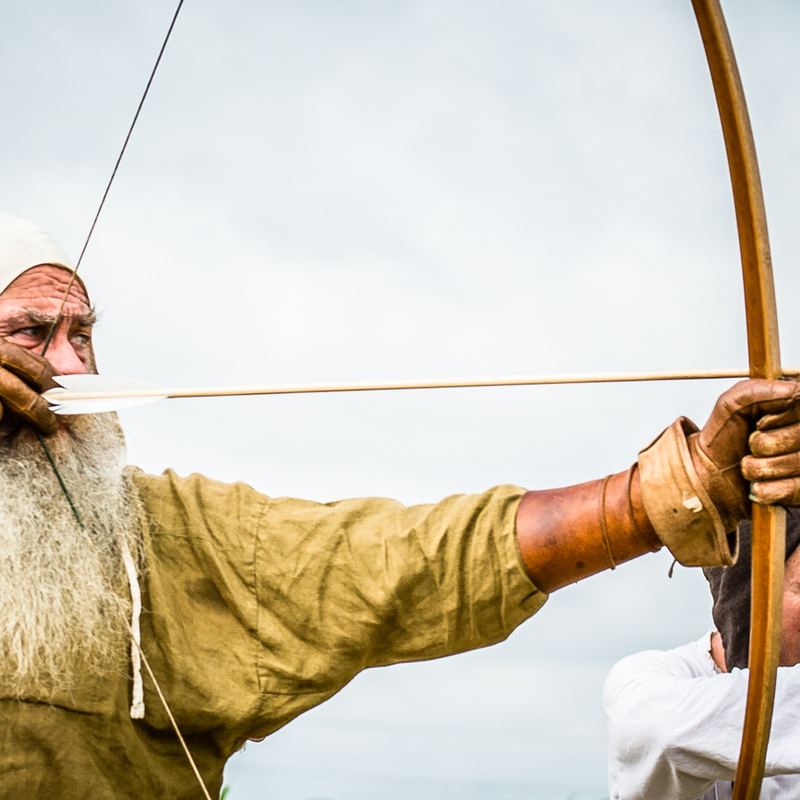 The longbow required many years of practice to learn how to use it efficiently and took a long time to master. However, it was capable of loosing many arrows in a minute. It was a very popular and much-favoured weapon of the English. The crossbow, by comparison, took very little time to learn but had a slower rate of fire. The wounds it caused could be horrendous and in early medieval times it was considered so barbarous its use was restricted by the Second Lateran Council, as it was considered a weapon hateful to God! The display includes demonstrations of target shooting using sharp arrows, and a comparison with the crossbow. A speed test for each type of bow is also given. A running commentary is provided along with public friendly explanations. 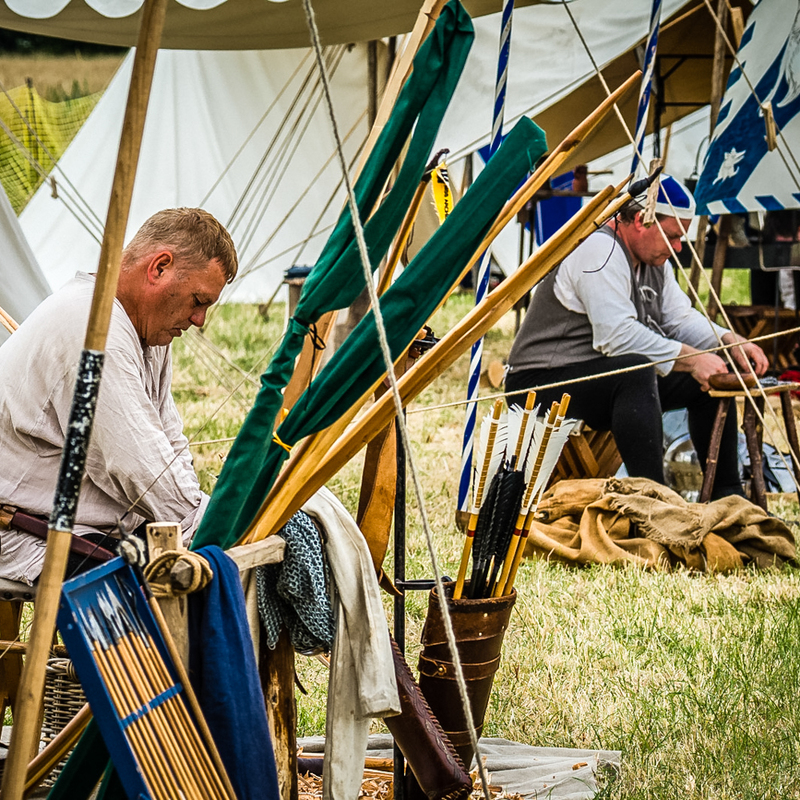 Where allowed onsite, we can also organise an 'Arrows versus armour' display where blunt arrows are shot (the archery term is 'loosed') at our brave volunteers to demonstrate the efficiency of armour in deflecting arrows. 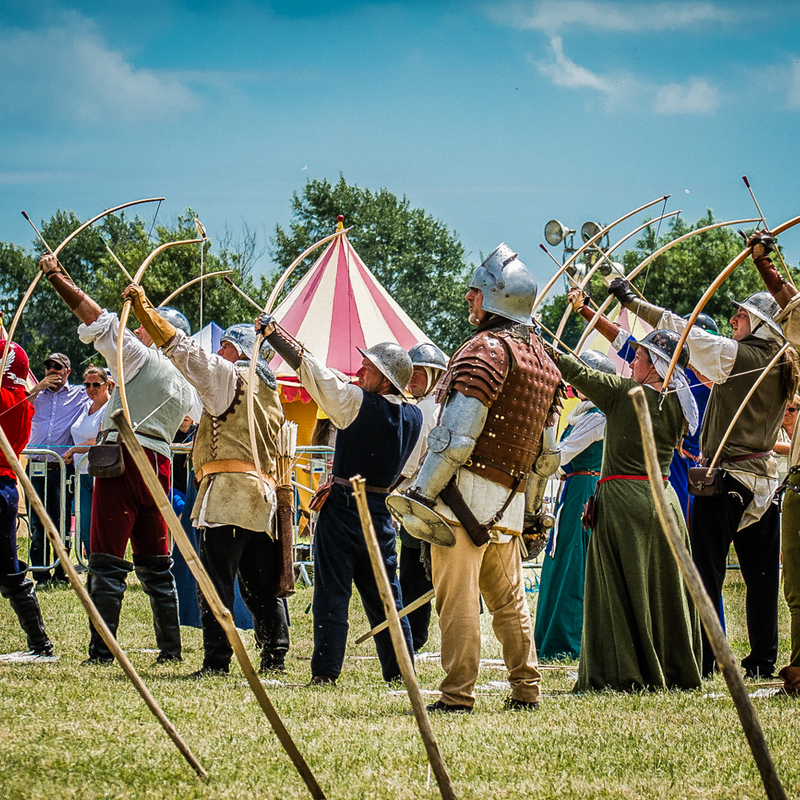 We can also organise an archery tournament, where spectators can watch the competition unfold and cheer on their favourite. 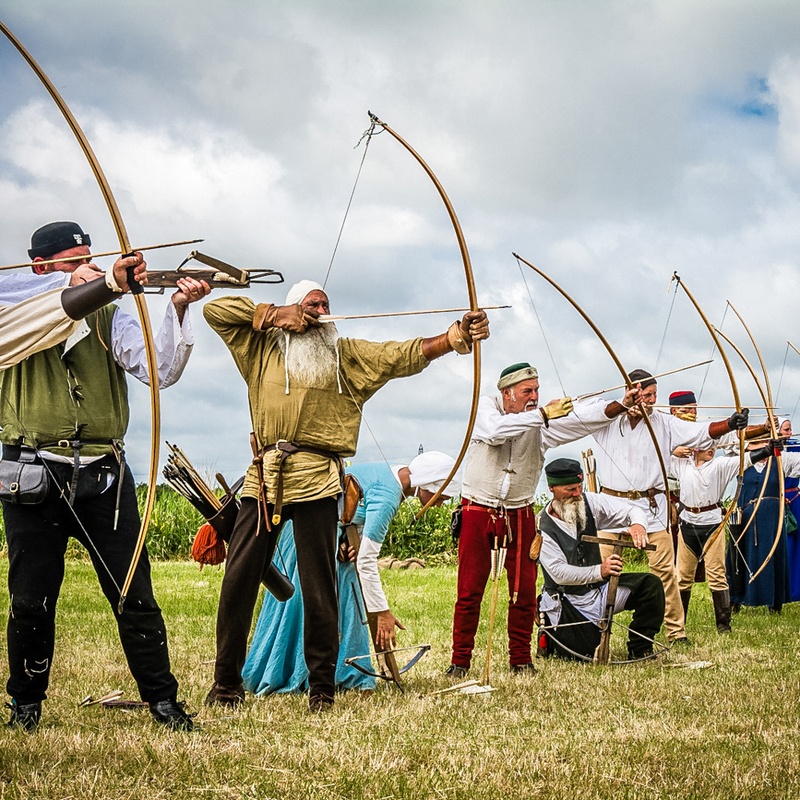 ''Have a go' archery for the public can sometimes be provided for an additional cost.